All is now set for the swearing-in of 350 members of Parliament for the Ninth Parliament today by the Clerk of Parliament, Mr Kennedy Chokuda, with the secretariat of the legislative assembly confirming the developments. Today's swearing-in ceremony will culminate in the election of Speaker of the National Assembly, Senate President and their deputies to be held on Tuesday next week. After the election of presiding officers next Tuesday, President Mnangagwa is expected to officially open the First Session of the Ninth Parliament in due course providing a legislative agenda. 1236: Honourable Tongai Mnangagwa, Madodana Sibanda, John Mangwiro and Honourable Tichaona Karumazondo from Maramba/Pfungwe constituency just took their oath of office. 1231: Honourables Zhou Tafanana, Zvidzai Murisi and Ziyambi Ziyambi are some of the legislators now taking their oath of office here at Parliament building. 1219: Priscillah Moyo – Mwenezi West constituency legislator and Chegutu West MP Dexter Nduna have just been sworn-in. 1145: Honourable Mukonora Obert, Honourable Murire Joshua and David Musabayana are some of the Members of Parliament being sworn-in here at Parliament building. 1138: The Clerk of Parliament Mr Chokuda is back on the podium and calls upon the next set of legislators to take their oath of office. 1120: Victor Matemadanda, Joshua Sacco and Honourable Paul Mavima among other legislators have just been sworn-in. 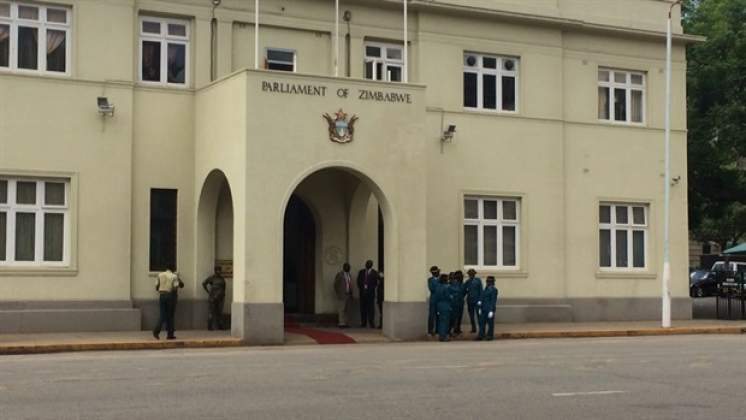 1108: Proceedings continue here at Parliament building and we have seen Supa Collins Mandiwanzira and other legislators taking oath of office. 1041: Transport and Infrastructural Development Minister Joram Gumbo, Honourable Karikoga Tawanda, Wedza South MP Honourable Tinoda Machakaire and Mazowe South legislator Fortune Chasi have just been sworn-in. 1040: Mr Chokuda is now calling upon the next set of 10 MPs to take their oath of office. 1030: Honourable Joseph Chinotimba, Mines and mining Development Minister Winston Chitando, Honourable Chipato and Honourable Philip Chiyangwa are some of the MPs sworn-in. 1018: The Minister of State for Harare Metropolitan Province Miriam Chikukwa as well as Marble Chinomona who is also the Zanu PF Women's League Secretary have been sworn-in her Parliament building in Harare. 1016: The Clerk of Parliament is now back on the podium and asks another group of 10 MPs to take their oath of office. 1015: The MPs are taking oath of office in groups of 10. 1013: Members of Parliament now taking the oath of office before the Clerk of Parliament. 1009: Clerk of Parliament Mr Kennedy Chokuda is presiding over the swearing-in ceremony of the elected Members of Parliament. The ceremony is live on ZBCtv.